The new group would soon establish what its aims were, draw up an official constitution and have recognised committee members and a treasurer. Working with but independent of the local council, these steps would allow W.A.S.P., a voluntary group, to apply for recognition with the Charities Commission and be recognised as a Registered Charity (515388) some 12 months later. In the September of 1982, a working committee of ex-members of 'the Friends' was formed and so began monthly meetings and the Friday craft session, and new members would come along and join the new group. In December 1983, negotiations with Bolton Education Department took place and W.A.S.P. was to base itself at the new community centre for £2 a session. Run by volunteers, for over 35 years W.A.S.P. 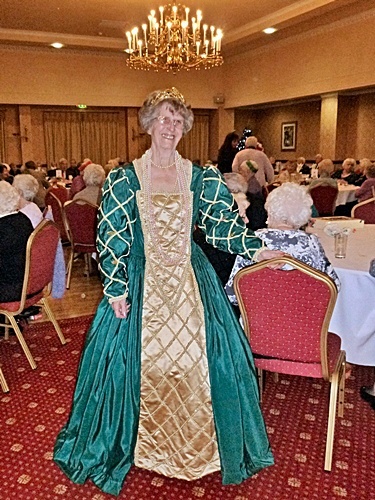 has played a key role in supporting senior citizens in Westhoughton by providing regular activities, trips and friendship, enriching the lives of its members and contributing to community life in Westhoughton. There is a Management Committee overseeing who take care of general business, activity planning and fundraising; an AGM takes place every May. This is a popular group and well respected by the wider community. In 2015 W.A.S.P. received the most votes at the community funding event 'Westhoughton You Decide' organised by Greater Manchester Police - the group was featured in the Bolton News (18/2/15). In 2018 the group has been chosen to receive money from the Co-op's Local Causes Fund helping to fund the current year's activities. Download the information leaflet: W.A.S.P. - What We Do. Monday afternoons at the John Holt Centre, Birch Avenue, Westhoughton. Drop-in from 1:00pm to 3:30pm for cards, dominoes, bingo and refreshments. Thursday evenings at the Winifred Kettle. Throughout the year W.A.S.P. organises a number of special trips, usually once a month, which will include food and entertainment, such as Llandudno, The Lake District, St. Annes, Harrogate… or nearer trips such as to Rivington Barn to enjoy a 4-course lunch and show. There is also a much-anticipated Christmas Party. Costs are covered by W.A.S.P. from funds raised throughout the year with member contributions of £10 for trips - the budget for activities this year is over £10,000. Friday, 23rd March - A '49 Club' Trip to The Bedford Hotel Lytham St. Annes. Leave Westhoughton at 11am for a 4-course lunch and entertainment. Leave 4pm. Monday, 14th May (1pm to 4pm) - W.A.S.P. 's A.G.M. at the John Holt Centre. Carr's Pasties, free bingo and raffle. Monday, 28th May - Afternoon Tea at the John Holt Centre. Catering by Karen's Little Kitchen (12:30pm to 4:30pm). Entertainment. Free Bingo. Transport provided (but not the Ring and Ride). Friday, 13th July - The Doric Hotel, Blackpool. Leave Westhoughton at 10:30am for a 4-course lunch, entertainment, followed by tea, coffee and biscuits. Leave 4:30pm. Friday, 24th August - Ryecroft Hall, Poulton-le-Fylde. Leave Westhoughton at 11am for a 3-course lunch, entertainment, followed by tea coffee and biscuits. Leave 4pm. Friday, 12th October - The Chadwick Hotel, Lytham St. Annes. Leave Westhoughton 11am for a 4-course lunch and entertainment. Leave 4:30pm. Friday, 16th November - '49 Club' Christmas Party at The Talbot Hotel, Southport. Leave Westhoughton 11am for a Turkey & Tinsel lunch and entertainment. Leave 4pm. Sunday 16th December - W.A.S.P. 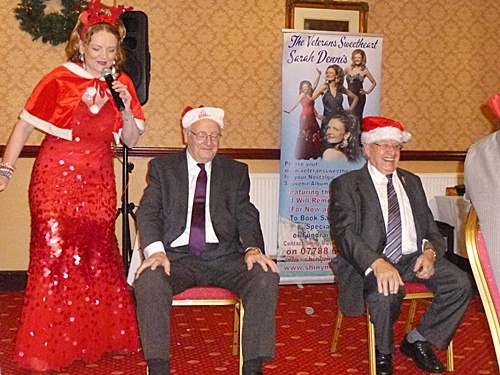 's Christmas Party at the Brookfield Masonic Hall, Peel Street, Westhoughton. Arrive 12 noon for a 12:30pm lunch. Entertainment. A gift for everyone from Santa. Leave 4pm. The pick up point for all events is the Park Gates, King Street, Westhoughton. The total cost of activities for the year is £10,122, with individual trips costing on average £1,200. A contribution of £10 per person per trip is to be made for trips to The Doric Hotel, Ryecroft Hall and Chadwick Hotel. For non-members the cost is £22 each per trip - subject to availability. Previous Year events for W.A.S.P. have included: trips to The Eagles Head Inn, at Over Kellet, Carnforth; taking in a fish and chips supper at Bolton's Olympus Chippy followed by the Wingates Brass Band 140th Anniversary Concert at the Victoria Hall; seeing the wartime nostalgia musical 'We'll Meet Again' at the Lowther Pavilion at Lytham St. Annes, and a visit to the world-renowned Whelan's Fish and Chips Restaurant. You can meet or join up or find out more about W.A.S.P. at any of the regular events. You can also contact W.A.S.P. through the Westhoughton Community Network website and we will pass on any contact.